This year was our first 100 days of school project for my son who is in first grade. The assignment was pretty open ended, which I was SO excited about. All we had to do was gather 100 pieces of a particular item and arrange them in a way that could be hung on the wall. 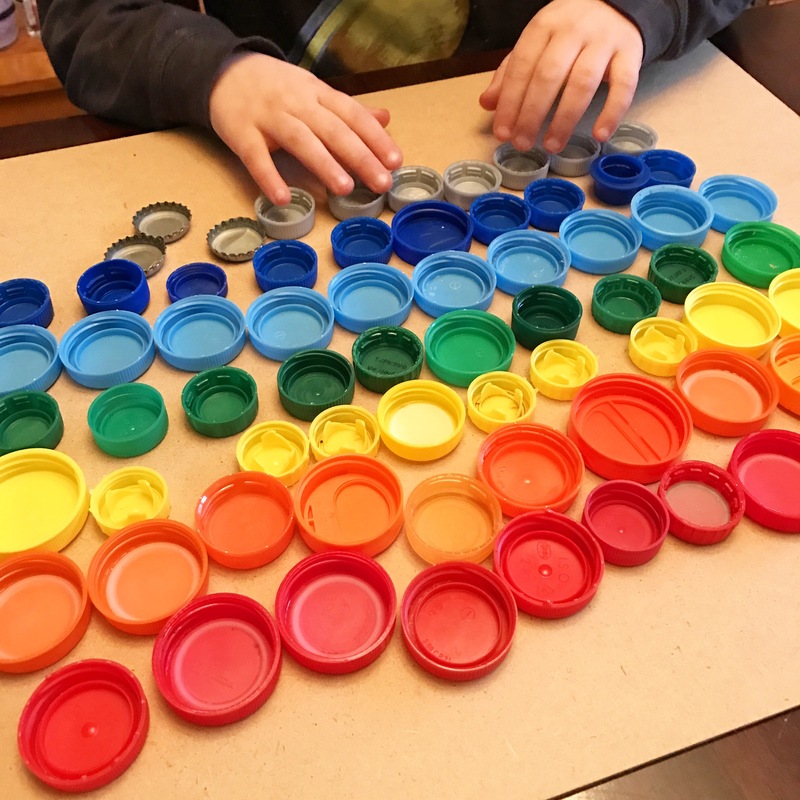 My son did not really have any ideas right off the top of his head so I suggested using some of our enormous bottle cap collection. 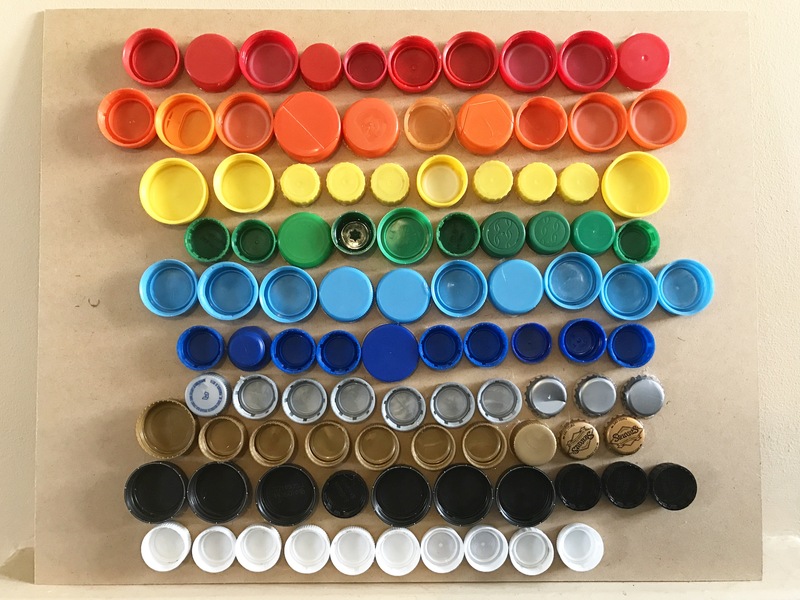 (A while ago, a local girl scout troop collected bottle caps for me for a presentation I was doing. They collected hundreds, probably thousands, so we have what feels like an endless supply). 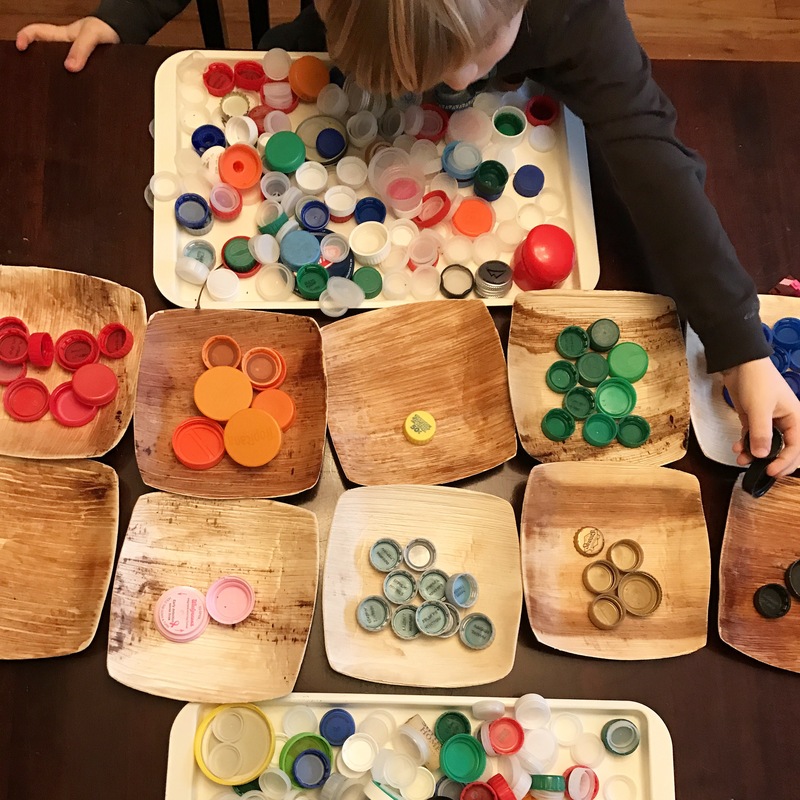 We pulled out the big box of bottle caps and started sorting through them to see what colors we could use. I suggested we use 10 different colors and have 10 of each color and he agreed. So, we did the best we could to find the colors of the rainbow but there were just not enough pink and purple. We ended up finishing the collection with black, white, silver and gold. 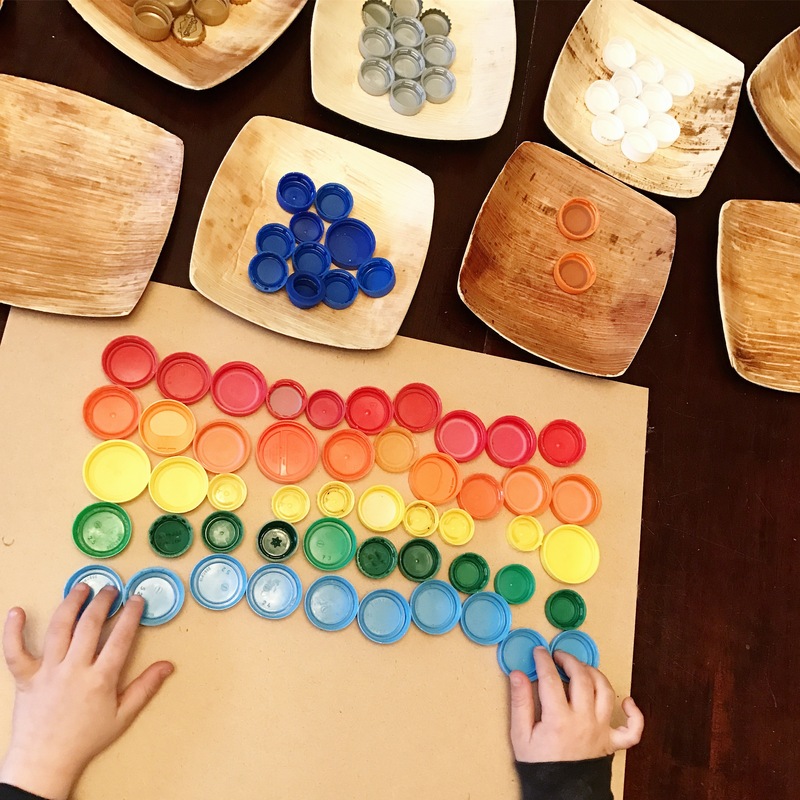 My son arranged all the caps on the board, which was actually the back of a picture frame that I had saved from another project. (I had used the frame to make a twine and clothespin photo display). 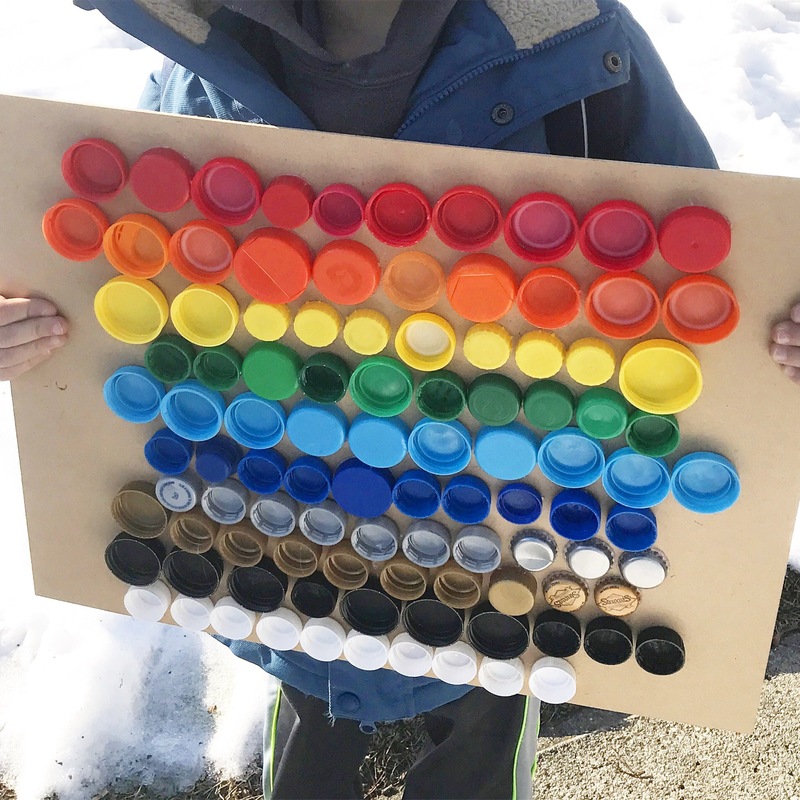 He was so proud of the final result and could not wait to bring it into school. I am hoping that they get returned later in the year because it’s so beautiful and I would definitely hang in their bedroom or in our office.